As the Grace Church Family says Good-bye to their dear friend, Nancy Denison, in Louisville, Kentucky - the St. Laurence House family in Freetown also say their goodbyes to Nancy. Nancy, a long time Sr. Warden of Grace Church, communicated regularly by email, text with James before her illness took hold of her. She was very involved in their lives, in the ministry in Sierra Leone. Whatever the need, if just a phone call of encouragement, Nancy was quick to be there for our Nazareth House family. She loved them and they loved her as evidenced by the above photos - it is their way of saying goodbye to a member of the family that has penetrated their lives across oceans, across borders, across boundaries. Today, Grace Church celebrated Nancy's life in a Requiem Mass for the parish. 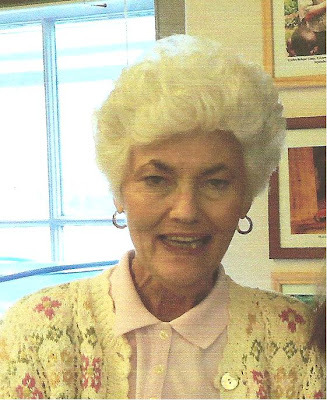 Carol South, our organist, played the songs that Nancy (a dedicated member of the choir) cherished and loved. Words of love were spoken. It was a beautiful tribute to the one we loved so much. The impact that Nancy has had on our lives (at Grace Church and beyond) is tremendous, she will be missed and always in our hearts.